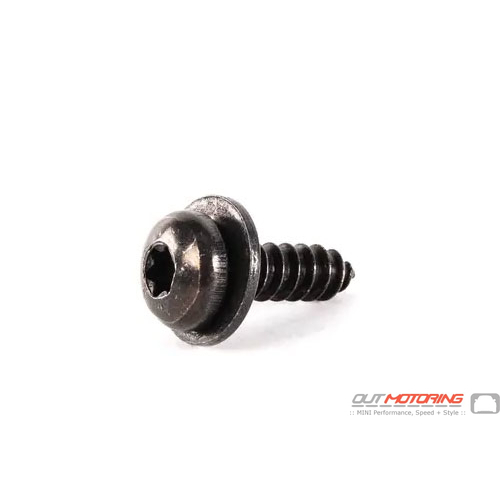 This screw is the screw that holds the black license plate bracket to the trunk lid. There are 2 required. Sold individually. This part is also used to hold the R52 roll bar plastic trim in place.